For Rutherford County Home Showings & Inquiries, Please Contact Patrick Higgins – Keller Williams Realty 615-682-1718. Beautiful Lincolnshire- Side Entry Garage/ Large Lot & Master Down Plan. 4bed, 3.5 bath, Morning Room & upgraded Floors. Must See Open Concept Living. Upgraded Kitchen w/ granite & ceramic flooring. BIG EVENT Sat. Feb 6th. Call For Appt! Genoa Model. Master Down. 3Bed, 2.5bath, Open Concept plus morning room. Gorgeous Kitchen w/ Granite & more! All Brick Exterior, Side Entry garage. HUGE EVENT SAT FEB 6TH 12-3pm Call to set up Appt! HOMESITE SPECIAL! Genoa A expires in MARCH 2016 .All Brick, side-entry 2 car garage w/ upgraded Kitchen, flooring,study, morning room, 3 bed, & 2.5 bath. Special is - Take 5K off price listed plus 4k at closing if you use NVR Mortgage. Call Ahead. A perfect 10! New or refinished qualty HW throughout, New quiet dishwasher/disposal, updated KT cabinets, MB closet the size of most BR's, SS countertops/tile in wet areas, back patio fot an entertainer.All Stainless Kitchen appliances+ so much more. Please text the listing agent for a faster response to schedule a showing. Open MILAN w/3 huge bdrms, w/loft, morning room ,granite 42" upgraded kitchen cabinets, SS appliances, craftsman elevation, ! Build new in Sommersby - INCL: Frml Din & Liv (or study) Amazing value! Price incl $3.5k off CCs w/use of NVR Mortgage. Monaco master down, island, granite, SS appliances, upgraded kitchen and bath cabinet, Lg walk in shower, vanity top upgrade Price incl $3.5k off CCs w/use of NVR Mortgage. Florence 3 bdrms, loft and 2.5 Baths! 9' ceilings on 1st flr, 42" kitch maple cabinets, separate soaker tub and shower, open flrpln & energy efficient- Back of a cul de sac! Florence 3 bdrms, loft and 2.5 Baths! 9' ceilings on 1st flr, 42" kitch maple cabinets, granite, SS appliances,separate soaker tub and shower, open flrpln & energy efficient- Back of a cul de sac! Monaco Under Contract--beautiful open concept, side entry garage. Genoa under contract! Added features: second bedroom on main floor, double wall ovens, additional bathroom upstairs. Granite, upgrade cabinets, stainless steel appliances. Call/text agent at 615-663-3660 to schedule showing. Owner is re-locating due to work. They are currently in the process of packing. Buyer to verify all pertinent information including square footage and school zones. Esquire Place with Full Front Porch, Study, 4' Extension in Great Room, Double Wall Ovens and Cooktop, Morning Room, Granite Countertops in Kitchen and Baths, Roman Shower, 2 Closets in Master, 16x12 Patio. GENOA floor plan. Front Porch w/ Metal Roof, Brick, & Stone Acct. Morning Room + Bonus Room. 2-Car Side Entry Garage. SS Appliance Pkg w/ Gas Range. Jetted tub+walk-in shower in master. Fireplace in GR. UNDER CONTRACT The Genoa master down+2nd downstairs bedroom. 2 large upstairs bedrooms PLUS a loft AND a bonus room/4th bedroom. Extended garage (side entry). Front porch. Double ovens, roman shower. Stacked stone fireplace. Popular Genoa floor plan with full covered porch. Fireplace, covered back porch, 2 bedrooms downstairs, and open loft upstairs. Granite countertops. Upgraded cabinets. Popular Genoa floor plan with full covered porch, morning room, and bonus room. SS appliances, gas range, granite countertops, Roman shower in Owner's bath w/ ceramic tile surround. Tankless gas water heater. Brand new tile and countertops throughout entire kitchen! Master bath and downstairs guest bath also have new tile! Fresh paint throughout entire house. This home is handicap accessible. Buyer/buyers agent to verify all pertinent information. Lovely one-owner home in desirable McFarlin Pointe. New hardwoods down. Separate dining room. Open kitchen/family room. 4th bedroom + full bath up. Beautifully landscaped yard with very private backyard that's great for relaxing or entertaining. 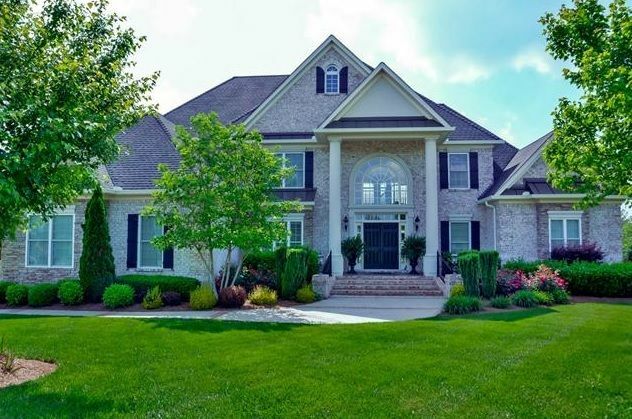 Gorgeous brick and stone custom built home on private over an acre treed lot! Great open floor plan with many upgrades through out with vaulted ceilings and covered back porch! Over-sized tile shower in the master. Sprinkler system in home. HUGE LOT! 2.2 acres. NEW windows, security system, garage door opener, hardware, vents, fittings in laundry and storage shed. Renovated bathrooms and upstairs. 4 bedrooms, 3 baths, large bonus room, formal dining area and hardwood floors throughout. The Magnolia plan, master down,covered porch> Has 3 garages. Kerrington C - Cement siding, covered entry, hardwood floors on main level, study, kitchen granite tops, LED lights, carpet in all bedrooms, tile floors in baths and laundry, double vanities in all baths. Spacious 4 bedroom home with extra large bonus room that could be a second master. Large bedrooms for everyone in your family! Open floor plan. Crown molding downstairs. Fenced backyard. Great neighborhood convenient to I-24 and Amazon. **Back on the market! new paint downstairs and remodeled kitchen!  **This cottage style home is in a great neighborhood. Home has tons of updates including new flooring, paint, and ceiling fans. You will love this home no doubt! Great home at end of cul-de-sac. Fenced in yard, pergola, and all newer stainless steel appliances (2 years old). BOTH NEST thermostats remain.